don't get caught: Fear of phoning reporters and others: Just your team, or a wider problem? Fear of phoning reporters and others: Just your team, or a wider problem? "What would you do about this? I think my media relations staffers are afraid to call reporters," said my client. This isn't a unique problem, though sometimes it feels that way, and for good reason: Reporters get far too many poorly thought out calls pitching off-topic material, so there's a "whaddaya want?" tone that serves as an effective barrier when someone's calling. And rightly so. But this client's got top-quality information and a good track record with reporters. Her team knows reporters' beats and preferences and honors them. Picking up the phone really does seem to be the problem--and it's a more complex problem than it might appear at first glance. Let's not make media calls the villain, either. Fear of phoning can happen with potential partners, the person who controls that job opening your want, donors, clients, even the folks in the department-across-the-hall. So what's going on? Every time you raise your hand, send an email, launch a product or make a suggestion, you're exposing yourself to criticism. Not just criticism, but the negative consequences that come with wasting money, annoying someone in power or making a fool of yourself. It's no wonder we're afraid to ship. You'll sometimes see a more elaborate version of this in staff members who want you to tell them every step of the process--then carry it out precisely as you describe. I had a waiter like that recently, while having lunch with a client. After a barrage of "Would you like me to refill your water glass now?" "Would you like me to bring out the entrees now?" "Would you like me to bring the dessert menu?" I said to my client, "I think I've managed that person before." It's the wrong way to manage up, and the message is: I don't want to fail, so I'm putting the responsibility back on you. From what I see, Generation Y nonprofit professionals act more like cows. We’re not willing to take the risks associated with real leadership, we just want to get to the destination with no pain and preferably with a nice little roadmap, thankyouverymuch. Even though young people have all the wherewithall to be the buffalo—education, passion, networks—we’re afraid of potential failure. We’re more likely to watch and wait in our air-conditioned cubicles for mentors to show us the way. Always return reporter calls -- especially when the news/info is something you'd rather not discuss. You're not the reporter's only source and she'll respect you WAAAY more and rely on you down the road if you can have the difficult conversation. The PIO/public affairs person also has to let the leadership know that responsiveness is key to credibility. Find out why the no-call-zone is the first response: If it's "the reporters told me not to call," that's one thing. If it's "I sent an email and thought that would do" when an urgent on-topic, on-deadline call needs to be made, that may need more discussion. Listen with care for honest feedback about why this might not work. Figure out whether your team knows how to make the call: I marvel at the number of communications operations that expect cold calls, but don't train people to make them. Why not schedule a morning to share the barriers to calling, practice making your best approach against a role-playing surly recipient, and learning together what your company's or organization's best approach would be? When I've led such sessions with clients, you can clearly see the speed with which some give up after a rebuff or two--then talk through what needs to happen next. If you've got some former reporters in your office, they never really forget those "Whaddaya want?" responses, making them credible role players for this type of exercise. Learn how to establish your credibility before you pick up the phone. 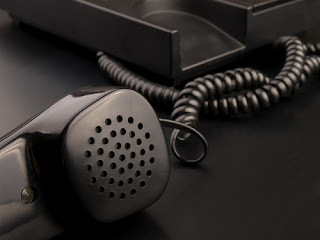 Callers should make sure they understand your company or organization's track record with this journalist/partner/donor/whomever they are calling. Would a well-reasoned email sent many days before the ask is needed help? (Probably so, according to many reporters I know.) Have you researched the preferences of the person you're calling? If not, there's homework to do. Share experienced tips and ideas. Everyone gets feedback from their cold callees. Are you sharing that with your team? Encourage collective wisdom and crowd-sourced answers, on a regular basis. What's the worst response each of you has had? What would be a better way to handle that? Have you encountered this in your communications operation? Share your insights in the comments...including your best and worst experiences.